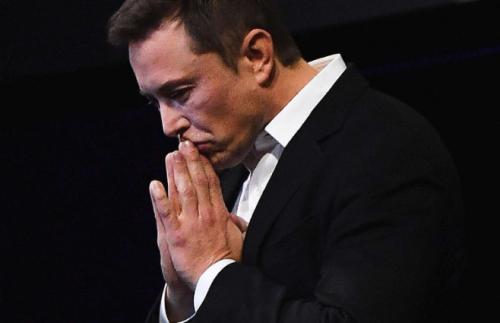 Tesla: Day of reckoning near? 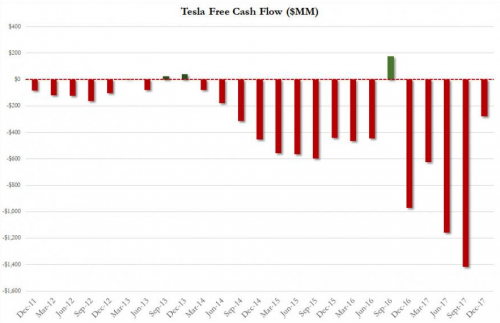 Tesla is having a disastrous month. Following the fatal accident which involved a Tesla vehicle on autopilot, numerous companies have come out and suspended autonomous driving programs. Shares of Tesla have plummeted 22% in March as the company also experienced a credit rating downgrade. The company has burned cash at an alarming rate, as it lost $2 billion last year and burned $3.4 billion in cash after capital investments in 2017. At the end of the year, it had 3.4 billion left in cash or cash equivalents. With $230 million of debt due in the latter portion of 2018 and an additional $920 million in 2019, many analysts believe that the company will need to raise capital soon. The big question is, will Elon be able to tweet his way out of this mess?